Once a month, the World Area Book Awards (Américas Award, Africana Book Award, Middle East Outreach Book Award, South Asia Book Award) will sponsor a free 60 minute webinar on a book recognized by one of the awards and facilitate a discussion with the author on how to incorporate the book into the classroom. The 2018 Spring Webinar Series focuses on social justice. We encourage educators to read the books with your colleagues, students, and community, and then join us to hear more from the author. If participating in all five webinar sessions, participants will receive a certificate of completion. 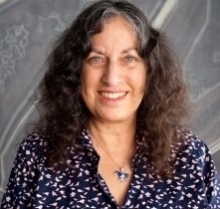 On Thursday, February 8, 2018, educators joined us for a 60 minute webinar/chat to explore the diversity of Cuba with award winning author, Margarita Engle. 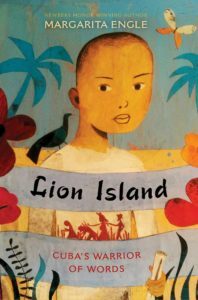 Engle, the national Young People’s Poet Laureate discussed her book Lion Island: Cuba’s Warrior of Words and shared teaching and discussion ideas to explore the story of Antonio Chuffat, a young man of African, Chinese, and Cuban descent who becomes a champion for civil rights. For more information, contact aawardf@gmail.com.